The process a French firm will use to clean Fukushima’s radioactive water has been blamed for a leukemia cluster in France and for polluted beaches and irradiated waters from the English Channel to the Arctic Sea. Areva SA has promised to remove up to 99.99 percent of the radioactive contaminants in 67,500 tons of water flooding the crippled Fukushima-Dai-ichi nuclear plant. It will use a co-precipitation method employed at its La Hague nuclear fuel reprocessing facility in Normandy. That process has been documented in detail by a French nuclear expert and by the U.S. government, which has shunned France’s fuel reprocessing method because of “a nonproliferation concern and environmental concerns,” in the words of Nuclear Regulatory Commission Chairman Gregory Jaczko. The “logistical coordinator” for a top Mexican drug-trafficking gang that was responsible for purchasing the CIA torture jet that crashed with four tons on cocaine on board back in 2007 has told the U.S. District Court for the Northern District of Illinois in Chicago that he has been working as a U.S. government asset for years. Jesus Vicente Zambada Niebla is the son of Ismael “El Mayo” Zambada Garcia, one of the top kingpins of the Sinaloa drug-trafficking organization. Niebla was arrested in Mexico in March 2009 and extradited to the United States to stand trial last February. “The indictment pending against Zambada Niebla claims he served as the “logistical coordinator” for the “cartel,” helping to oversee an operation that imported into the U.S. “multi-ton quantities of cocaine … using various means, including but not limited to, Boeing 747 cargo aircraft, private aircraft … buses, rail cars, tractor trailers, and automobiles,” writes Narcosphere’s Bill Conroy. In a two page court pleading filed with the U.S. District Court for the Northern District of Illinois in Chicago, Niebla claims that he was working on behalf and with the authority of, “The U.S. Department of Justice, Drug Enforcement Administration (“DEA”); and the Federal Bureau of Investigation (“FBI”); and the Department of Homeland Security, Immigration and Customs Enforcement (“ICE”),” since January 1, 2004. Niebla is also connected to the Gulfstream II jet that wrecked with four tons of cocaine on board on September 24, 2007. European investigators linked the plane’s tail number, N987SA, to past CIA “rendition” operations. The bill of sale for the Gulfstream jet, sold weeks before it crashed, listed the name of Greg Smith, a pilot who had previously worked for the FBI, DEA and CIA. Gaddafi's lot were reported to want to exterminate the opposition here. They sounded rather extreme in the mainstream media. I can understand, if the information in the video is correct, why they would say such a thing. I also heard that the Israeli's were helping Gaddafi too, by sending the African mercs, a story that may not be entirely false (it was reported false in this video). If the game here is to unseat Gaddafi then reports of the mercs would make him seem the brute. This is a very interesting video for the questions it raises. If the crowd number comparisons are correct, and the composition of the rebel leaders correct, then this whole Libya thing looks to be part of a set-up following the Tunisian uprisings and the protests in Egypt. It's geopolitics - securing resources for the West/USA and knocking out Chinese and Russian interests. This model is only a predictor for Xenon Gas. There's also Iodine, Cesium, Strontium and Plutonim to contend with, which may not travel such far distances. One thing we do know, these other elements have already been detected in the rainwater on the West Coast of the USA. Peter Schiff on CNBC - Gasoline is Cheap, the Dollar has been Debased. This week Max Keiser and co-host, Stacy Herbert, report on the world fleeing the dollar flood and the dollar fraud and about Jamie Dimons worst nightmare. In the second half of the show, Max talks to Matt Taibbi about the real housewives of Wall Street. Arnie Gundersen calls for the NRC to stop licensing unsafe nuclear power plants. The "String of Pearls" doctrine encapsulated in a 2006 Strategic Studies Institute report, aims at co-opting, destabilizing and otherwise neutralizing nation states cooperating with China and enabling it to project power and influence along its long and vulnerable oil link to the Middle East. Starting in Africa, throughout the Middle East, into Central Asia and terminating in Southeast Asia, the United States has been conducting a widespread campaign of doing just this. Pakistan in particular has jointly built a new port with China in the coastal city of Gwadar in the southern province of Balochistan. This port serves as a potential terminal for a north-south transit corridor to transport oil and goods directly into Chinese territory via the northern Gilgit-Baltistan region of Pakistan. It also serves the potential to host a Chinese naval presence. The US bid to interfere internally to disrupt this is hardly a conspiracy theory. Globalist scribe Selig Harrison of the Soros funded Center for International Policy has published two pieces regarding the overarching importance of Pakistan in a broader geopolitical context and "suggestions" on how it can be solved. A strategic understanding helps to solve riddles as to why the US would want to destabilise its former "allies". Does it ever seem like the population is being "dumbed down"? Maybe that is literally happening -- even before birth. And at least one of the culprits appears to be organophosphate pesticides that are widely used on food crops throughout the U.S. The evidence for the intelligence robbing effect of these poisons isn't some obscure study in lab animals, either. This is a major discovery involving human children in multiple studies. The results of three separate research papers have just been published in the journal Environmental Health Perspectives and all document this alarming fact: pesticides could be robbing many humans of their maximum intelligence potential. "These associations are substantial, especially when viewing this at a population-wide level," said study principal investigator Brenda Eskenazi, UC Berkeley professor of epidemiology and of maternal and child health, in a statement to the media. "That difference could mean, on average, more kids being shifted into the lower end of the spectrum of learning, and more kids needing special services in school." This isn't a problem limited to children living near farms where pesticides are regularly sprayed, either. The other two studies, one conducted by scientists at Mt. Sinai Medical Center and the other by researchers at Columbia University, investigated pesticide exposure in urban populations in New York City. The Mt. Sinai research involved assessing toddlers at 12 and 24 months of age using standardized testing that measures cognitive and psychomotor development in young children. Then, when the children were between six and nine years old, the researchers administered skill and intelligence tests. The results? Just as the UC Berkeley researchers found, the Mt. Sinai scientists discovered that exposure to organophosphates negatively impacted perceptual reasoning. In plain English, that means the children did not have the level of nonverbal problem-solving skills that normal, healthy kids are expected to have. Both the UC Berkeley and Mt. Sinai research teams measured pesticide metabolites in maternal urine; the scientists at Columbia measured umbilical cord blood levels of a specific pesticide, chlorpyrifos. And, it's important to note, the Columbia study is the first to look at neurotoxicity of chlorpyrifos exposure before birth to see how it impacts cognitive development as children reach school age. Although it was banned for indoor use in homes by the U.S. Environmental Protection Agency (EPA) in 2001, chlorpyrifos was once an extremely popular organophosphate pesticide for residential use and still lingers in the environment. The Columbia researchers found that the amount of chlorpyrifos in babies' blood was linked to neurodevelopmental problems by age three and these deficits persisted at least through age seven -- with possible long-term educational implications. What's more, consider this extremely important finding: the decline in intelligence test scores began at the lowest exposure to the pesticide. The test scores spiraled down more with increasing exposure levels. This suggests, the scientists said in a press statement, there is "..no evidence of a threshold, below which exposures are completely safe." Brad Cooke, CEO of Endeavour Silver, is Max's guest in this edition of Press TV's On the Edge with Max Keiser where they have an excellent discussion about precious metals. Enjoy the show. "Radiation is cumulative & much more dangerous when it is ingested than when it is outside of you" "|Japan admits daily radioactive release from Fukushima at 154 trillion Becquerels, many times higher than previously announced — Nuclear commission blames calculation error"
The guy making comments here is not 100% accurate but he is making valid observations about the general danger from the fallout. Plus his referrals to statements made by independent nuclear experts should not be dismissed. The video here is a wake up call to the extent and gravity of the situation we now face. Japan officially sets a new evacuation zone on April 22, 2011 which includes prefectures BEYOND THE PREVIOUS 30 KM radius FROM the Fukushima Nuclear power plant included. The radiological fallout from Fukushima is much worse than is being reported. Australia needs to start checking Japanese imported goods for radioactivity. Furthermore, the fallout has reached the West Coast of the USA (since March 18th) and there is strontium, cesium and plutonium in US tap water (research this!). Imported food products from California, such as navel oranges, are extremely likely to be contaminated. Also, the Prime Minister's aircraft and all personnel visiting Japan may have been subjected to various levels of contamination. This is serious and precautionary checks should be made. Please note that information pointing to the real nature of the reactor meltdowns in Japan can be found on many alternative news sites. The mainstream press appears to have dropped the ball here. Tip: I'm sure the more mature analysts reading this email can discern the importance of information carried on the news site: http://www.whatreallyhappened.com/ The more immature analysts will tend to throw the baby out with the supposed bath water. Just look at and read/watch materials relevant to the Japan nuclear crisis and make up your own minds about what should be done. A provision in a new draft of the 9/11 healthcare bill will force the FBI to investigate tens of thousands of cops, firefighters, construction workers and others for ties to terrorism by comparing names to those on the Terrorism Watch List. The 911 first responder healthcare bill was passed as *a carrot* a bribe to appease first responders with paid treatment they﻿ cannot afford. To be sure it would be effective lawmakers added *a stick* an exclusion to run all through the terrorist list. ANY FIRST RESPONDERS ARE TALKING TO THE MEDIA ABOUT 911 WAS AN INSIDE JOB OR QUESTION THE OFFICIAL STORY THEN THEY GO ON THE WATCHLIST AND NO HEALHCARE - DIE! There is a revolving door between US corporations and the Federal Government. Rather than looking after the interests of the people the politicians are looking out for their own positions first. Without such egregious conflicts of interest the world would be a much better place. The Wars can be ended. The way is thus: Truth, Justice and then we get Peace. Thanks to the Fukushima catastrophe, we've all been learning a lot about the laws of physics lately -- especially about radiation. To help explain it all, the folks over at InformationIsBeautiful.com have created a radiation explanation chart that shows the relative levels of harm from various doses of radiation (link below). The InformationIsBeautiful website is pretty cool. The folks there specialize in making complex data visually interesting. I've admired some of their work for quite some time. • 1,000 mSv Temporary radiation sickness. Nausea, low blood count. Not fatal. The industry would say that the doses are targeted in only a narrow area so the risks of developing further cancers are lessoned. However, the data here is still worrying. I would like to see more reseach into the effects of Radiotherapy. This time Max Keiser and co-host, Stacy Herbert, report on downgrades, gold bars and third worlds. In the second half of the show, Max talks to Taki Oldham, director of The Billionaires Tea Party, about tea parties, astroturfing and Ayn Rand. The argument from the right is that the freemarket will pick winners and losers, that consumers won't pick things that hurt their wellbeing. In practice there are problems here because those with great power (corporations) can hoodwink folks and slant things so that the masses will be at a significant disadvantage. There needs to be rules, some level of safety net, and some restrictions, in this freemarket - hence the US Constitution. I like Max's idea of government being "the people's house" that provides real competition and oversight against corporate control in the interests of the wider population. Recently while searching the EPA RADnet database for radiation reports, we found a link to the main database. It included the RADNet monitoring data for many isotopes not released in the public reports. This is not good. These results are a month old now and more material has most certainly come down. Radiation at No. 2 Spent Fuel Pool Millions of Times Above Normal - Situation to get Worse. The radiation is so bad that humans can no longer work safely in the immediate area. The radio host here suggests we nuke the plant. If it will solve the crisis, and stop radiological elements being released into the atmosphere, then this must be done. Presently the entire Northern Hemisphere is being sprayed with contaminants that will cause millions of cancers and many deaths to people living far from Japan. If the Japanese can sucessfully entomb the reactors in a short space of time, then they must act NOW. Radiation detectors are finding their way into stores as public concern grows over potential radioactive food contamination. Hanaro Club run by Nonghyup or the National Agricultural Cooperative Foundation placed detectors in 32 stores nationwide, following the footsteps of other large discount store chain such as Lotte Mart. Hanaro Club began testing on agricultural, livestock and seafood products last Thursday. At least the South Koreans are treating this seriously. We need to have air monitoring in all areas of the northern hemisphere plus separate checks on materials, goods and food products coming in from areas known to be subjected to the fallout. Good information on the Fed's manipulation of the markets to make the US debt situation seem less dire than it is. Two robots sent into the reactor buildings at the Fukushima nuclear plant have found massive amounts of radiation, barring any workers from entering. The plant's operator also announced a new 9 month plan to stabilize the situation, proposing to cover the reactors with a Chernobyl-like sarcophagus. The situation at the nuclear complex remains critical, with radiation leaks and difficult access hampering progress. The authorities at one stage said that they would be making progress once power had been restored to the control rooms of the reactors. As you can see the damage to these facilities is susbstantial. When high pressure water in circulation is essential to keeping the reactors cool then you can bet, with all that damage, the chances the system will still function is extremely low. Nothing short of entombing the cores will stop the further contamination into the atmosphere as those fuel rods burn. They need to hurry up and and stop the leaking. I personally think they should grab bulldozers, put up massive concrete barriers, put on a some sort of roof, pour in concrete or do whatever else is necessary. If fixing the problem requires destroying the surrounds then it must be done. We can't have the whole planet being continually subjected to clouds of radioactive gases. Check out the shadow of the UAV that is taking the film. Yoichi Shimatsu former editor of the weekly Japan Times discusses the dire situation of Fukushima. A very good discussion concerning the disaster. Do not drink the milk, do not drink the tap water, hope that the authorities can entomb the reactor ruins ASAP. Poul Thorsen, the principal coordinator of multiple studies funded by the Centers for Disease Control and Prevention (CDC) used to deny a vaccine/autism link was indicted on April 13th on 13 counts of fraud and 9 counts of money-laundering. The charges relate to funding for work he conducted for the CDC, which claimed to disprove associations between the mercury-based vaccine preservative, thimerosal, and increased rates of autism. SafeMinds first voiced concerns in 2003 regarding a series of epidemiology studies out of Denmark and under the jurisdiction of Thorsen that provided the basis for the Institute of Medicine's claim that there was no association between thimerosal and autism. That claim has been responsible for the continued unsafe use of mercury in influenza vaccines in the United States and infant vaccines around the world. "The quality of this epidemiological research has always been questionable," states Sallie Bernard, SafeMinds president. "Many biological studies support a link between mercury and autism, but these Danish studies have been used to suppress further research into thimerosal. With clear evidence of Dr. Thorsen's lack of ethics, it is imperative to reopen this investigation." From August to October of 2003, three articles on the autism-mercury controversy were published in close succession, all of which used data from a Danish registry for psychiatric research to assess the relationship between autism trends and the use of thimerosal. SafeMinds accessed the registry at the time and reported that a large percentage of diagnosed autism cases are lost from the Danish registry each year and that most of those lost cases were older children. Since the studies were based on finding fewer older thimerosal-exposed children than younger unexposed children, the validity of their conclusion exonerating thimerosal in autism was questionable and likely a result of missing records rather than true lower incidence rates among the exposed group. In addition, internal emails obtained via FOIA document discussion between the Danish researchers and Thornsen which acknowledge that the studies did not include the latest data from 2001 where the incidence and prevalence of autism was declining which would be supportive of a vaccine connection. The emails also include requests from Thornsen to CDC asking that the agency write letters to the journal Pediatrics encouraging them to publish the research after it had been rejected by other journals. A top CDC official complied with the request sending a letter to the editor of the journal supporting the publication of the study which they called a "strong piece of evidence that thimerosal is not linked to autism." As fraud charges regarding Thorsen surface, and as we believe the registry was unreliable, SafeMinds is calling for an independent federal investigation of these studies for data manipulation and scientific misconduct. Further background information on these studies, the charges against Dr.
Richard Gage from Architects and Engineers for 911 Truth on Fox 2. Publicity like this about 911 is great since only the truth about 911 will end the war on terror. However, Fox 2 still did not show pictures of the collapse of WTC7 ! In response to the host's comment that every official body agreed with the official story and that Khalid Sheikh Mohammed boasted of the attacks; the heads of the 911 Commission are on record as saying their investigation was set up to fail. Also we only have the word of US authorities about KSM's confessions which were gained under torture, a technique that commonly provides false admissions. "Justice Department Has No Appetite To Take ANY Cases Against Wall Street Executives"
Awesome discussion about the corruption rampant in the US financial/political system. People who are sworn to uphold US Laws designed to protect us all from fraudsters and thieves do nothing for fear of reprisal action from the financial oligarchs. Oklahoma City Bombing Was An Inside Job! A classified Pentagon study confirms that the Oklahoma bombing was caused by more than one bomb. The report, prepared by two independent Pentagon experts has concluded that the destruction of the federal building in Oklahoma City in April 1995 was caused by five separate bombs. The two experts reached the same conclusion for the same technical reasons. 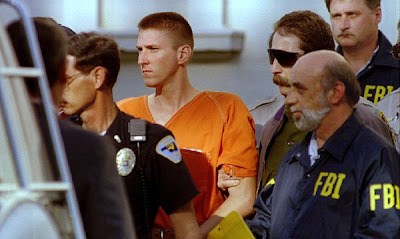 Sources close to the Pentagon study are reported to have said that Timothy McVeigh did play a role in the bombing but peripherally, as a "useful idiot." 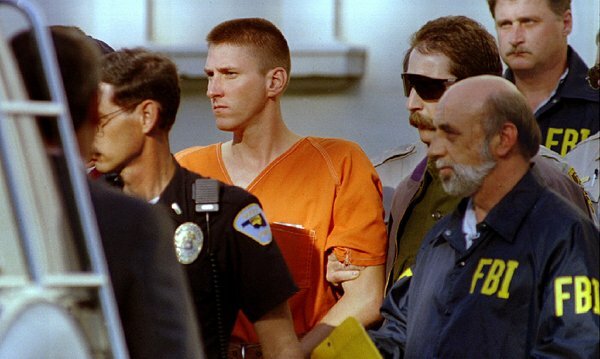 New documents released under the Freedom of Information Act confirm that the FBI received a phone call the day before the Oklahoma City bombing warning that the attack was imminent, and that the feds tried to reach a deal with bomber Terry Nichols to take the death penalty off the table if he admitted making the call. The documents were released to Salt Lake City lawyer Jesse Trentadue, who in the course of of a 15 year battle in trying to ascertain why his brother was tortured to death during an FBI interrogation related to the case, has all but proven the attack on the Alfred P. Murrah Building was an inside job run by FBI agents who were handling Timothy McVeigh. Alex talks with independent investigative journalist Wayne Madsen. Last week, during an appearance on the Alex Jones Show, Madsen revealed that the White House has targeted him for elimination. "They want to kill you," a government source told the journalist. "It was perfectly clear that the phrase was not being used as a figure of speech," writes Madsen. On April 13, Madsen told Jones unequivocally that he does not intend to commit suicide. Madsen said in order to protect himself, he has decided to leave the country. Do not trust anything the authorities are saying about the disaster. The fact that there is steam rising from the plants and that workers were evacuated says much. This time Max Keiser and co-host, Stacy Herbert, report on Senator Carl Levin's report alleging lies and perjury from Goldman Sachs. In the second half of the show, Max talks to Janet Tavakoli, a credit derivatives expert and author of "Dear Mr. Buffett," about corruption and an absence of justice in the U.S. banking industry. A really great episode. If you have not watched this program before please check it out ! A note for those following the "debate" above: According the NIST WTC7 did not suffer any significant structural damage from the collapse of the Towers AND there was molten steel/iron found at ground zero which IS indicative of incendiary (inside job) action. A battle over the budget is closing our schools, our libraries, firing our teachers and taking away collective bargaining rights. While the banks and largest corporations are also not paying any taxes, including Bank of America, Exxon Mobil, and GE. Protesters today gathered in NYC's Union Square for the Sound of Resistance protest. The Nation Institute's Chris Hedges weighs in. Not a bad summary of the corrupt US corporatist system, including the media's complicity in the whole thing. This is great except for his belief in AWG (climate warming) ! We are under banker occupation !! VLADIVOSTOK - CUSTOMS officials in far eastern Russia said they had stopped almost 50 secondhand cars shipped for sale from Japan that showed excessive radiation levels. Customs officials stopped 49 cars with radiation levels up to six times above normal, while some vehicles had traces of the radioactive isotopes caesium-127 and uranium-238, said Roman Famin, who heads the regional customs' radiation monitoring department. The radioactive cars started arriving at the Vladivostok port 10 days ago, but the government consumer watchdog has not made a decision on what to do with the contaminated cars, Mr Famin said at a briefing. The Russians seem to be switched on to the danger. Here they are dealing with imported contamination. However, there is the issue of the fallout from Fukushima which has hit the US Westcoast (plus further inland). Fruit and Vegetables from the US may very well be contaminated. The problem with low level radiation poisoning is that people do not treat it seriously because they do not see an immediate effect. Remember fallout from nuke bomb testing in the 50s only involved a few kilograms of radioactive substances each time. The total weight of the burning/melting fuel rods in Japan is in the many hundreds of tons. In the next couple of years, or months, we will see how bad things really are. If you can, avoid US agricultural products coming from California or Idaho or other West coast areas. This week Max Keiser and co-host, Stacy Herbert, report on the scrap metal crimewave, shorting US treasuries and other signs of economic chaos. In the second half of the show, Max talks to author and blogger, Cory Doctorow, about copyright extremists and about watching robots throw buildings at each other. The observation about "hear no evil, see no evil" is a very apt way of describing the system of financial fraud that was committed. Check it out. America Is a "Failed State" with a "Dual Justice System ... One for Ordinary People and then One for People with Money and Enormous Wealth and Power"
It is now mainstream news that none of the big financial criminals have been prosecuted. But their policies have created an exceptional criminogenic environment. There were no criminal referrals from the regulators. No fraud working groups. No national task force. There has been no effective punishment of the elites here. ... the economy cannot recover until fraud is prosecuted. But Wall Street is so thoroughly in control of both parties, Congress, the White House, and even the judiciary, that prosecutions won't happen. No wonder Marc Faber calls the U.S. a failed state, Kenneth Rogoff says our tax systems are "Byzantine labyrinths funneling money to powerful interests", and experts on third world banana republics from the IMF and the Federal Reserve say the U.S. has become a third world banana republic. Barry Ritholtz argues that - if the prosecutors won't do their job - we should prosecute them for nonfeasance. Max Keiser is a tad more radical, saying that - if the criminals aren't prosecuted - we should hang the bankers. I'm not sure if it is a sign of public sentiment, but he got a big round of applause for saying that. This presentation will provide an overview of the construction features, enormity, and strength of World Trade Center Building 7. It will help listeners understand why no building with a steel framed superstructure has ever collapsed through itself for any reason other than controlled demolition, and will provide evidence for why the NIST World Trade Center Building 7 Report is not a satisfactory explanation of the collapse. Scientific Reports are supposed to describe things based upon recorded evidence and, at times, provide models that accurately reflect the data collected. The NIST report on WTC7 fails to explain the collapse features of the WTC7 building. Their descriptions/models do not reflect reality. The only reasonable explanation for the straight-down, freefall collapse of WTC7 is the Controlled Demolition hypothesis. Nick Rockefeller told Russo about the plan to microchip the population, warned him about 'an event that would allow us to invade Afghanistan and Iraq' some eleven months before 9/11 and foretold the fact that the 'War on Terror' would be a hoax wherein soldiers would be looking in caves for non-existant enemies. Nahle had originally believed that human emissions of carbon dioxide (CO2) were warming the atmosphere until he found an incorrect assumption within the Greenhouse Effect hypothesis. Nahle, from the Autonomous University of Nuevo Leon in Monterrey, N. L., Mexico, has worked professionally as a scientist for over 40 years. His findings are set to add more fuel to the fire in the vigorous debate over the validity of a cornerstone of the science of environmental activism. In his new paper, ‘Determination of the Total Emissivity of a Mixture of Gases Containing 5% of Water Vapor and 0.039% of Carbon Dioxide at Overlapping Absorption Bands’ the Mexican biologist turned climate researcher proves that in nature, CO2 and water vapor mix together to decrease infrared radiation emissions/absorptions in the air. This is the opposite of what conventional climatology has been saying years. Nasif says, “To my surprise, I found that the hypothesis was flawed and that the AGW proponents were inventing variables and constants. As I starting to apply the correct data and algorithms, I was realizing that the whole hypothesis was wrong from the physics standpoint." Other science specialists in the fields of atmospheric physics, astrophysics, chemistry and biology as well as mathematicians, have also been looking with a critical eye on the controversies in climate science ans publishing papers going against the views of establishment climatology, a science largely comprised of generalists not specialist scientists, according to Canadian climatologist, Dr. Timothy Ball. Ball concurs with such skeptic criticisms adding that it "raises questions about who is qualified to provide oversight." Professor Nahle’s paper addresses very technical matters such as “emissivity” and “overlapping absorption bands” within atmospheric gases which many scientists, as well as non-scientists, have little real understanding. So I asked Nasif to give an explanation. Nasif added, “the absorptivity coefficient of the carbon dioxide is equal to its emissivity coefficient, the gas can only absorb a limited amount of the energy received from other sources and then emit a limited amount of the energy absorbed.” In simple terms this means carbon dioxide cannot ‘store’ more energy than it emits. This new study, in effect, refutes the claims of climate doomsaying researchers who say such an overlapping trapping effect ‘enhances’ the emissivity of the carbon dioxide and/or the water vapor in the air (clouds, etc.). Such energy received is then swiftly lost to where it goes most easily i.e. to the colder regions of the upper atmosphere and then to outer space. This means heat does not get ‘trapped’ in the absorption bands of the gases and the atmosphere cannot thereby act as a ‘blanket’ to keep the earth’s surface warm. In fact, in total contradiction of global warming orthodoxy, Nahle’s research demonstrates that, under these conditions, a negative emissivity occurs; a self absorption that must be subtracted from the addition of total emissivities of the two, three, four, or more gases. Thus the only effect CO2 can have on global climate is to reduce temperatures, not increase them. If the Professor here is correct then the Carbonistas are sunk. The basic science here will destroy the "greenhouse effect" argument for carbon dioxide. After Japan nuclear radiation was detected in Richland Washington drinking water local CBS news station KEPR in inquired as to why the federal radiation monitor went offline. The EPA responded stated they are aware that radiation monitors are broken and have no plans to fix it because monitoring radiation is the area is not a priority. The Feds actually have broken non-working Japan nuclear radiation monitors in 37 US Cities, all not a priority to fix. A complete list below. So what exactly are the priorities of the Feds? It appears the Fed priorities are to foolishly cover-up corporate folly - ie to protect the nuclear industry at the cost of people's health. 1. The video deals with the emotional reaction of people exposed to questions regarding the official story. Most people get angry when a traumatic event in their world view is challenged. Becoming emotional is an understandable response but not a logical way of dealing with an issue. 2. We can know who is telling the truth, either the government or independent scientists, by using science and logic. We are allowed to think for ourselves ! 3. The building collapses exhibited features not at all consistent with a gravitational collapse. In fact the features can ONLY be reasonably described as products of an explosive action. 4. High tech explosive particles (nano-thermite chips) were found in every dust sample collected at the World Trade Centre site. 5. The various official scientific "investigations" were conducted by many of the same people, some of whom had clear connections & contracts with the US military or government. Some had connections to nano-thermite research. This is indicative of a cover-up. 6. There was ample opportunity to plant explosives during a 9 month "elevator modernisation" program right before the attacks. The building security also appears to have been compromised. Remember only the truth about 911 will stop the War on Terror. People who are unfamiliar with the scientific evidence, that proves the World Trade Centre buildings were destroyed using explosives on 911, commonly make the mistake of ASSUMING that it would be "impossible" to rig these structures for demolition. This is not true: it would be difficult, but NOT impossible. However, it is IMPOSSIBLE to find Molten Steel, Thermite traces, plus actual fragments of high tech explosives in the rubble pile, and to have the freefall collapses of these buildings, WITHOUT the presence of chemical incendiaries/explosives of the sort commonly used by the military and demolition companies. The bottom line is that the forensic evidence proving the inside job is unimpeachable. Moreover, we also know that the building security was compromised before the attacks, and that workmen had access to the core of the Twin Towers during the months leading up to the attacks (whilst an "elevator modernisation" program was undertaken). There was plenty of time to thoroughly rig the buildings. We have both the physical proof of foul play AND a clear opportunity in which to prepare the buildings for destruction. There is no mistake, 911 WAS an Inside Job. To conclude otherwise is not logical. This week Max Keiser and co-host, Stacy Herbert, report on the murderer of the middle class and how the wealth effect equals the poverty effect. In the second half of the show, Max talks to Jim Rickards of Tangent Capital about the silver, gold, the dollar and quantitative easing. Half a century ago, president Dwight Eisenhower issued a warning to the American nation about growing military industrial complexes being a threat to democracy, and now it seems as though Eisenhower's warning has become reality. US is the modern world's biggest military spender. Dr. Paul Craig Roberts, a former Reagan administration official and a columnist, shares his opinion on RT. The budget corruption, apart from making money for corporations, also feeds massive black budget programs, the funding in many instances is classified, even from Congress. Depleted Uranium is being used in Libya? While NATO is establishing democracy in Libya with carpet bombardment, what will be the toxic toll on the people there? The US dropped thousands of depleted uranium bombs upon Fallujah, Iraq in 2003, and the aftermath since has been catastrophic. Are they repeating the action in Libya? Conn Hallinan is a columnist with Foreign Policy in Focus and says it's just a very bad idea. A great clip that has an excellent discussion about the massive dangers posed by D.U. munitions. Please watch it and share with others. This guy seems to be implying that the 911 operation appeared to require state sponsorship - that it was of a higher order of sophistication than what Bin Laden's crew could have achieved. From the controlled demolition of the World Trade Centre buildings we KNOW his guess is correct, that there was some level of Nation State involvement. "9/11: Explosive Evidence - Experts Speak Out"
Grainger talks straight about the collapse of the 3 WTC buildings on 911, particularly demolishing the official account about the fall of WTC 7. Don't drink the water or milk !!! Once inside the body the longer lasting radioactive elements will cause cancer. While the American media discusses the dilemma in the Middle East to a degree, are we really getting the big picture back home? Normon Solomon of the Institute for Public Accuracy says that though the Internet and blogging has allowed a new outlook to be exposed, mainstream media still paints the picture of a paradisaical United States. Ventura's widespread appearance in the mainstream media here is very important. The more people that read, or know about the documents cited in his book, the more people will be deprogrammed from the great lie that the US Government always works with the best interests of the people in mind. Folks MUST understand that there are significant elements within the military industrial complex that will murder, maime and publicly discredit (among other things) in order to serve the "strategic" interests of the establishment elites. If we do not recognise what is going on then there is almost nothing you can do to put an end to it all. This week Max Keiser and co-host, Stacy Herbert, report on the Class A backing both the Triple A rated and the A listed. In the second half of the show, Max talks to James Howard Kunstler about entropy made visible and a return to the medieval. A good episode. Check it. Jesse Ventura waking up the people with real documents that show how devious their Government really is. Ventura is absolutely right in calling for all Americans to NOT vote for either Republicans or Democrats. This is a good appearance by Ventura on Mainstream TV - well worth checking out. Radiation from Japan has been detected in drinking water in 13 more American cities, and cesium-137 has been found in American milk—in Montpelier, Vermont—for the first time since the Japan nuclear disaster began, according to data released by the Environmental Protection Agency late Friday. Milk samples from Phoenix and Los Angeles contained iodine-131 at levels roughly equal to the maximum contaminant level permitted by EPA, the data shows. The Phoenix sample contained 3.2 picoCuries per liter of iodine-131. The Los Angeles sample contained 2.9. The EPA maximum contaminant level is 3.0, but this is a conservative standard designed to minimize exposure over a lifetime, so EPA does not consider these levels to pose a health threat. Remember the EPA lied about the air quality after 911. These figures may, or may not be, too low. For up-to-date news on this catastrophe make sure to visit WhatReallyHappened.com. Psychology of Politics, Party loyalist, Troofers, Deniers etc. Ry talks about those people who believe anything rather than using logic, science and common sense. An interesting rant covering a lot of ground from deceptive war to the upcoming 2012 election. Ry's wrap up at the end is good. Overall I would say he's pretty concerned about lunatic fringe material derailing legitimate dissent. He wants people to put in the effort to explain to people, one on one, the truth about what is really going on in our world. Virtually all the numbers you're seeing about the radioactivity coming out of Fukushima are based on iodine-131 which only has a half-life of 8 days, not the far more dangerous cesium-137 which has a half-life of 30 years. So while the mainstream media reports that "radiation levels are falling rapidly" from the 7.5 million times reading taken a few days ago, what they're not telling you is that the cesium-137 radioactivity will take 30 years just to fall by 50 percent. It's the great global cover-up in all this: What happens to all the radioactive cesium being dumped into the ocean right now? It doesn't just burn itself out in a few months like iodine-131. This stuff sticks around for centuries. After the radioactive cloud eminating from Japan's stricken Fukushima nuclear power plant reached Europe last week, French authorities have detected radioactive iodine-131 in rainwater and milk. CRIIRAD, an independent French research body on radioactivity, said it had detected radioactive iodine-131 in rainwater in south-eastern France. A sample analysed on 28 March showed radioactivity levels of 8.5 becquerel. In parallel testing, the French Institute for Radiological Protection and Nuclear Safety (IRSN), the national public institution monitoring nuclear and radiological risks, found iodine 131 in milk. According to the institute, concentrations from a sample collected on 25 March showed levels of less than 0.11 becquerels per litre. In normal times, no trace of iodine-131 should be detectable in rainwater or milk. The rates detected are said to be extremely low – particularly in comparison to rates observed after Chernobyl in 1986 – and the authorities are stressing that there is no cause for panic. Nevertheless, according to CRIIRAD, contamination of the air, and consequently of rain water, will continue for at least the next two weeks. Jesse Ventura: Enough Government Cover-ups! It's time for a Revolution! RT's Anastasia Churkina sits down for an exclusive one-on-one interview with TV personality, former Governor of Minnesota, and best-selling author Jesse Ventura. His new book "63 Documents the Government Doesn't Want you to Read" hit the shelves this April. The only problem here is that the voters have to overcome the electronic voting machines that can flip votes. Nevertheless, citizens should NOT vote for any candidate put up by the major parties. It is time for a revolution. Arnie Gundersen discusses inconstancies between what the NRC, TEPCo, and the Nuclear Industry are saying privately and publicly. Documents from the french nuclear firm, Areva, and the NRC reveal what the industry knows about the Fukushima disaster. Very good info about the nuke disaster which is much worse than being reported in the mainstream media. Please check it out. According to EU by-laws, radiation limits may be raised during a nuclear emergency to prevent food shortages. But there is anger across Europe because this emergency order was issued while officials say there is no threat to the food. These rules now to bring into force is absurd, because in Europe there are no nuclear emergency, and certainly no shortage of food. The European Union has authorized radioactive load in foods in Japan has increased substantially. Until now, a maximum of 600 becquerels of radioactivity (cesium 134 and cesium 137) per kilogram allowed, but since last weekend for example oil or herbal suddenly 12,500 becquerels per kilogram, more than 20 times as high. Luminescence Phenomenon Miyagi Japan from this Morning's Quake! 'News' intermixed with Alex Jones. Radiation is now in North America's Air, Drinking Water & Food, but its safe!? It's a bit of a mish-mash of clips at the start but the Alex Jones comments appearing right after them, about the cover-up of the disaster, are right on the money. I'm assuming that the authorities are hiding the extent of the radiation problem because it will be easier to obfuscate the situation so long as people die over an extended period of time- just as we have seen in Chernobyl and with the dust from the 911 Demolitions. The cover-up here helps protect the nuclear industry and limits the likelihood of compensation to many victims whose illnessness may not be so readily identified. Also the expert that reappears right at the end is most likely wrong about getting the water circulation systems up and running in a fairly short time. I expect that the explosions in the plants partly demolished this machinery. Remember that the entire area around these Reactors 4 & 6 is contaminated from the fallout from Reactors 1-4. Working to prevent a further catastrophe will not be easy. Also note the demeanor of the TEPCO official as he delivers the bad news. I would wager that the situation here is critical, and further, that the repercussions of dumping radioactive contaminated water into the sea is going to be worse than reported. SHEEP in Scotland still carry traces of radiation from Chernobyl – over 20 years since the catastrophic explosion. A huge cloud of radioactivity spread across Europe after the nuclear reactor in the Ukraine overheated and blew up – and five farms across Scotland are still suffering from the mistakes made in 1986. The affected farms are in Stirling and Ayrshire and are thought to cover around 7000 hectares of land. lmost 3000 sheep are still contaminated by the radiation, and are subject to restrictions from the Food Standard Agency (FSA). Fukushima is worse than Chernobyl. Areas of the US, China and Europe are now suffering from radioactive fallout. The situation on the ground must be contained to limit the damage being done. The longer this goes on the more material is spewed into the atmosphere and sent around the world. Why is America so brainwashed by the corporate media? Why do we care more about American Idol and Dancing with the Stars than being harmed with thimerosal in our vaccinations and sodium fluoride in our water supply? Most Americans know nothing about these topics. The video gets to the chemical dumbing down part after 3:10. It's a really good collection of news clips dealing with the issue. People today may indeed be dumbed down compared to the past. This week, Max Keiser and co-host, Stacy Herbert, report on the black hole of bankers' debts in Ireland, virtual pigs in Australia and free workers in America. In the second half of the show, Max talks to Alex Jones about food stamps and financial terror. The truth news model is destroying the lies and propaganda model favoured by the establishment corporations. A very interesting video that shows the Federal Government is spending way too much so that even if the poor literally eat the rich they won't be able to pay for the expenses. However, the rules of the rich have led to the victimisation of the poor. Note that the Federal Government, corporate friendly rules, and the repeal of Depression-era Laws, have encouraged the export of jobs overseas plus other hardships. Remember, a poor overall economy means less tax revenue for the Government. In my humble opinion the role of the Government should be to protect the individual rights and liberties of US citizens - and not to assist big business at the expense of the people. For example, no subsidies or tax breaks for outsourcing of jobs and no bank bailouts, only arrests of corporate heads who have engaged in financial fraud ! Mike Rivero: Fukushima, the Terrifying Reality. Between Ann Coulter telling you radiation is good for you, the FDA raising the safety limits for exposure to the sky, Canada deciding there is no need to test food for radioactivity, downplaying the dangers of radiation, a terrifying reality comes into view. Between the Gulf of Mexico, the Pacific ocean, and now the meat and dairy animals in Japan and the US/Canada, there is isn't enough uncontaminated food to feed all the humans on planet Earth. The rulers of the world (who we may assume have already secured uncontaminated food stocks for themselves and their families) have decided that the simplest solution to hold off a revolution is to convince everyone that eating oil-soaked and radioactive food is really okay. When the Castle Bravo nuclear test was carried out, the Japanese fishing boat Daigo Fukuryū Maru was 70 miles away from the source of the radiation and left the area as quickly as possible. One month later the radio operator died. Because the United States refused to discuss the nature of the weapon tested, the fish on the Daigo Fukuryū Maru and other fishing boats nearby was sold into the Japanese markets, triggering an epidemic of radiation related illnesses and birth defects. Total amount of nuclear fuel in the Castle Bravo bomb, under 500 Kg. Total amount of nuclear fuel at Fukishima, 1760 metric tons. The bomb was over in an instant. Fukushima will continue to pour out radiation for decades to come, just as Chernobyl has. Now, stop for a moment and think about the lies about Saddam's nuclear weapons, Iran's nuclear weapons, the assassination of JFK, MLK, RFK, Vince Foster, the economy, the Gulf Oil Disaster, the USS Maine, and on and on and on, lie after lie after lie, endlessly without shame and without remorse. Then ask yourself this one question. Are you willing to bet your life, your life, that the government and media are actually telling you the truth this one time? According to the National Academy of Sciences, there are no safe doses of radiation. Decades of research show clearly that any dose of radiation increases an individual’s risk for the development of cancer. As the crisis in Japan goes on, there are an increasing number of sources reporting that 100 milliSieverts (mSv) is the lowest dose at which a person isat risk for cancer. Established research disproves this claim. A dose of 100 mSv creates a one in 100 risk of getting cancer, buta dose of 10 mSv still gives a one in 1,000 chance of getting cancer, and a dose of 1 mSv gives a one in 10,000 risk. GREENPEACE Measures EXTREME RADIATION 40KM From Fukushima - Why No Evacuation? Maximum Annual Dose In Few Days! Regardless of what anyone thinks about GreenPeace and their stance on man made warning, this video clearly shows that levels at least 40km from the plant are EXTREMELY high! People NEED to be evacuated from the area. The Japanese government is involved in a CRIMINAL cover up that possibly extends to the IAEA and various other governments who are openly lying about the situation. If you want to live get out of the fallout area ASAP. This week Max Keiser and co-host, Stacy Herbert, report on American household wealth declining by 23% while billionaires see their wealth rise by 25%. In the second half of the show, Max talks to Dmitry Orlov for an update on the state of economic collapse in America. The company that owns the now-infamous Deepwater Horizon, the oil rig that caused immeasurable damage to the Gulf, recently applauded itself for the "best year in safety performance in our Company's history." The company, Transocean Ltd., rewarded its executives millions in bonuses for the achievement, according to the annual report it released yesterday. Steven L. Newman, Transocean's president and CEO, awarded himself $4.3 million in cash bonuses, stocks and options. Eleven people died as a direct result of the disaster in the Gulf, nine of them Transocean employees, according to Forbes. We KNOW 911 was an inside job and there ARE enemies inside the gates helping to cover up this truth. Exposing this situation is vital to stopping the ENDLESS war on terror and can help prevent future false flag mass murders. Secret Underground Base at Denver Airport ? The video title at You Tube has this bunker being built in connection to 2012. I don't go for the 2012 mythology myself but there ARE vast underground complexes existing all over the USA. The underground structure at Denver is only one of them. The whole thing leads me to ask the question ? What are these things for ? Is the US military-shadow Government paranoid or are they actually making long range preparations for an unforeseen catastrophe, or a catastrophe of their own making ? One deadly catastrophe to consider would be a series of large meteor strikes into the oceans. Such an event may create a tsunami a hundred feet high, rather than one 10-20 feet high seen from recent earthquakes, that would cause armageddon-type damage. The fact that these things exist disturbs me ! A recent chemical spill at a water treatment facility in Rock Island, Ill., required the assistance of an emergency relief crew decked in the very same type of hazmat suits being worn by workers at the Fukushima Dai-Ichi nuclear plant in Japan. Except instead of radiation, the leaked chemical at the water plant was actually hydrofluorosilicic acid, a chemical fluoride component commonly added to drinking supplies for the stated purpose of preventing cavities. This fluoride chemical is so hazardous that it actually began to burn through parking lot cement in Rock Island before emergency crews arrived on the scene. According to reports from WQAD News 8 in Moline, a tanker truck delivering the fluoride began to overflow, leaking the chemical directly onto the parking lot where it spilled down towards the street. And before emergency crews arrived on the scene in full hazmat suits and gas masks, the fluoride had actually begun to burn a hole right through the concrete. "It's a corrosive agent that the water treatment plant uses," said Rock Island assistant fire chief Jeff Yerkey, concerning the spilled fluoride. He explained that the crews had to use earthen berms, dirt, sand, and commercial broom equipment to stop the leak. Yerkey also added that there was no "inhalation hazard" from the incident, and no evacuation of local residents was required. "If it goes to a full-scale evacuation of all personnel, it means that firefighters are no longer putting water onto the cores. That's the only thing preventing a full-scale meltdown at three reactor sites. Once they evacuate, then we past the point of no return. Meltdowns are inevitable at three reactor sites, leading to a tragedy far beyond that of Chernobyl, creating permanent dead zones in Japan." This is the real deal. Large areas of northern Japan will become dead zones and there will be dangerous levels of contamination in other countries in the northern hemisphere - just as we saw with Chernobyl but worse. Drastic times call for drastic measures. It's time to seriously mobilise people, seal the reactors and stop the fission reactions. Japanese authorities also handed potassium iodide pills to citizens as a preventive measure against radioactive iodine — just one of several radioactive materials that can be released in nuclear plant disasters. But no current treatment exists for radiation sickness, which is also known as acute radiation syndrome. CLT-008 could become the first such treatment. It deploys precursor cells derived from adult stem cells that can mature into platelets, red blood cells and certain white blood cells. The latter provide a crucial line of defense in the body's immune system for fighting off infections from bacteria and fungi. That matters because infections are what often end up killing victims of radiation sickness. High radiation doses destroy the bone marrow that produces white blood cells and leave the victim with virtually no immune system — unless he or she can get a temporary defensive boost from an outside source. "Most products being built as countermeasures [for radiation] will try to prevent the death of a person's own cells," Mandalam told InnovationNewsDaily. "In our case, we have a product that provides cells to the person independent of the person's own cells." Never before has it been so important to have independent, honest voices and sources of information. We are – as a society – inundated and overwhelmed with a flood of information from a wide array of sources, but these sources of information, by and large, serve the powerful interests and individuals that own them. The main sources of information, for both public and official consumption, include the mainstream media, alternative media, academia and think tanks. The mainstream media is the most obvious in its inherent bias and manipulation. The mainstream media is owned directly by large multinational corporations, and through their boards of directors are connected with a plethora of other major global corporations and elite interests. An example of these connections can be seen through the board of Time Warner. Time Warner owns Time Magazine, HBO, Warner Bros., and CNN, among many others. The board of directors includes individuals past or presently affiliated with: the Council on Foreign Relations, the IMF, the Rockefeller Brothers Fund, Warburg Pincus, Phillip Morris, and AMR Corporation, among many others. Two of the most “esteemed” sources of news in the U.S. are the New York Times (referred to as “the paper of record”) and the Washington Post. The New York Times has on its board people who are past or presently affiliated with: Schering-Plough International (pharmaceuticals), the John D. and Catherine T. MacArthur Foundation, Chevron Corporation, Wesco Financial Corporation, Kohlberg & Company, The Charles Schwab Corporation, eBay Inc., Xerox, IBM, Ford Motor Company, Eli Lilly & Company, among others. Hardly a bastion of impartiality. And the same could be said for the Washington Post, which has on its board: Lee Bollinger, the President of Columbia University and Chairman of the Federal Reserve Bank of New York; Warren Buffett, billionaire financial investor, Chairman and CEO of Berkshire Hathaway; and individuals associated with (past or presently): the Coca-Cola Company, New York University, Conservation International, the Council on Foreign Relations, Xerox, Catalyst, Johnson & Johnson, Target Corporation, RAND Corporation, General Motors, and the Business Council, among others. It is also important to address how the mainstream media is intertwined, often covertly and secretly, with the government. Carl Bernstein, one of the two Washington Post reporters who covered the Watergate scandal, revealed that there were over 400 American journalists who had “secretly carried out assignments for the Central Intelligence Agency.” Interestingly, “the use of journalists has been among the most productive means of intelligence-gathering employed by the CIA.” Among organizations which cooperated with the CIA were the "American Broadcasting Company, the National Broadcasting Company, the Associated Press, United Press International, Reuters, Hearst Newspapers, Scripps-Howard, Newsweek magazine, the Mutual Broadcasting System, the Miami Herald and the old Saturday Evening Post and New York Herald-Tribune." Some of those billions in the US "black budget" are no doubt spent on media control and manipulation. Go visit the Global Research -- this article's purpose was to emphasise the importance of independent media whilst appealing for donations to counter the lies.